The easiest way to break your sugar addiction is to know when you’re actually consuming the stuff. Even food that looks healthy and organic can pack a whopping amount of sugar. 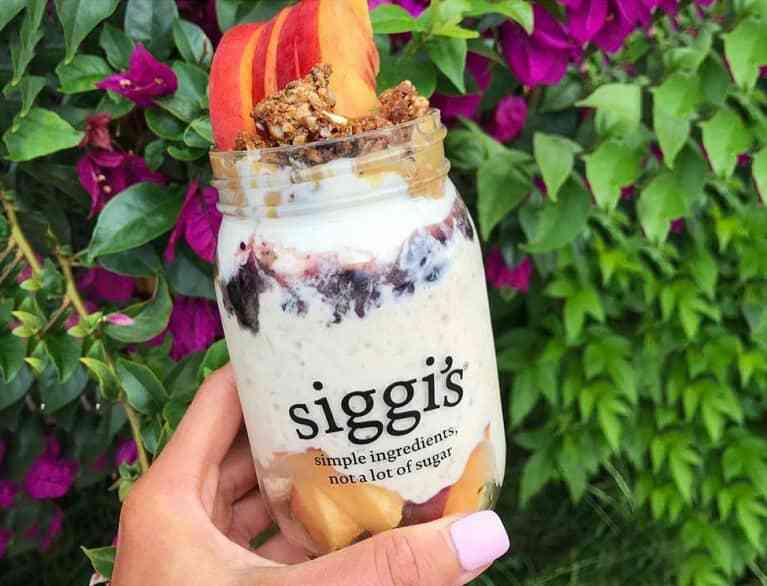 The shorter the ingredient list, the easier it is to find hidden sugars and know exactly what you’re getting, which is why we love brands like siggi’s, which have simple ingredients and not a lot of sugar (plus a ton of delicious flavors to satiate any cravings you’re having). A huge part of cutting back on sugar is resetting your taste buds, and beyond health concerns about artificial sweeteners (including Stevia! ), their powerfully sweet flavor makes it hard to acclimate your palate. While it’s tempting to go high-sweet, no sugar, try to just cut back on the amount of sweetener generally—you’ll be thankful at the end. Hopefully, in recent years, any fear of fat you’ve had has subsided, but beyond being a reborn health food, fat is a powerful ally in your fight to cut back on sugar. Fat fills you up, turns off your hunger hormones, and satiates you so that you’ll be able to say no to a plate of cookies in front of you. Go for full-fat food when given the option, add healthy fats like avocado and hemp seeds to your smoothie, and keep a stash of fat balls in your freezer to nosh on when sugar cravings strike. 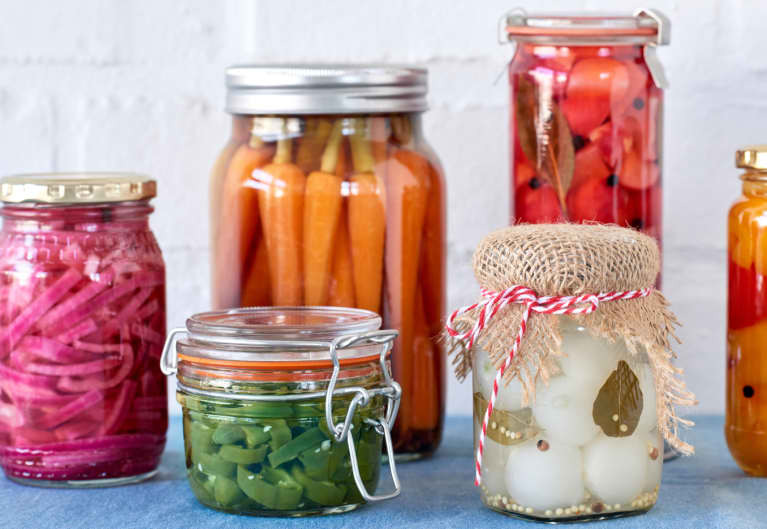 Not only does fermented food help balance your gut bacteria, which will ultimately help you crave less sugar in the long run, the tangy flavor resets your taste buds in a way that instantly eliminates cravings. 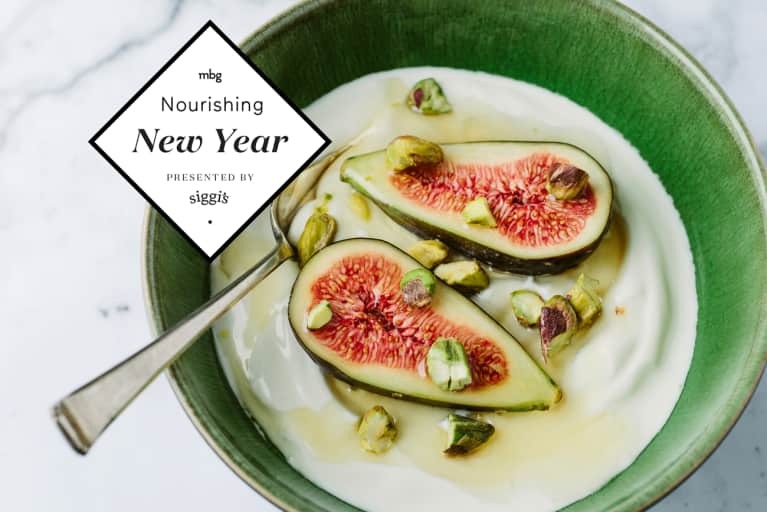 Reach for low-sugar, simple ingredient yogurts like siggi’s, or keep a stash of your own fermented vegetables in the fridge. When sugar cravings strike, simply eat a tablespoon or two of your fermented food of choice and wait 10 or 15 minutes to see how you feel. You’ll be surprised by the difference! 5. Think in terms of adding rather than taking away. Instead of telling yourself “no dessert,” fill yourself to the brim with fiber-packed vegetables and good fat, so you’re too satiated to reach for dessert. Think of new ways to add fats, fibers, and protein to every meal, so you’re too stuffed for a piece of chocolate. Try adding cauliflower or zucchini to your green smoothies, filling your plate with a huge pile of leafy greens drizzled with olive oil at lunch, or blending up a veggie-filled (aka highly fibrous!) soup to sip on throughout the day. Often, eating sugar can be more of a sign of boredom than anything else. Having something else to do with your mouth can be a great way to prevent mindless snacking. Sparkling water with a dash of bitters is a great way to entertain your mouth (and boost digestion! ), and teas come in a ton of different flavors sure to keep you from getting bored. If you always have a cup at hand, you’ll always be too occupied to reach for a snack. 7. Get out of your regular habits. Often, our sugar habit is just that—a habit. If you switch up your regular routine, you’ll often switch up what you eat and when you eat it. Try intermittent fasting for a week, change where you sit at work, and if you normally go out, cook and vice versa. By switching it up, you’ll reframe sugar’s place in your life, making it effortless to eat less of it.